Weeks before moving out of my apartment in New Brunswick, my cousin suggested that I take a few photos. At the time, it seemed unlikely I would ever forget what it looked like. I took a few iPhone pictures anyway. While studying in Spain for a semester, I lived in a student residence called Melon District. It was newly built and towering, with a lobby and scan cards rather than keys. A friend’s Spanish boyfriend described Melon as a fortress to protect all the American girls in Barcelona from Spanish men. Before arriving, I imagined my Spanish dwelling a much different way. I anticipated an apartment situated in the gorgeous decay of European city architecture, where hot water may be scarce but the terrace is romantic enough not to care. Instead, home was a stark white room with fluorescent lights, and a window that only opened from the top. It was my own single with a full sized bed, a desk, and a closet. For the first time in my life, I had a private bathroom all to myself. 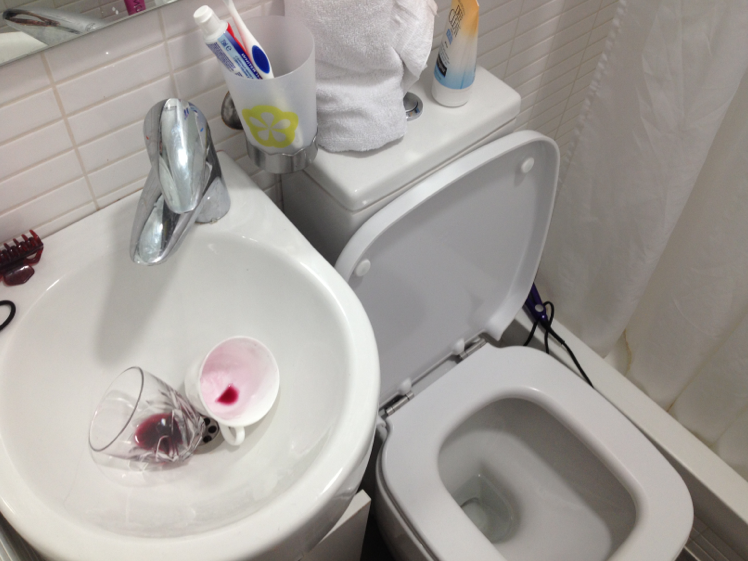 Naturally, I kept glasses and teacups of red wine in the sink. I never brought anyone into that room. My friends lived in adjacent identical rooms, or a few floors up and down. Almost nightly, we gathered in the common kitchen down the hall, on the rooftop terrace to watch the sun set behind Mt. Tibidabo, or out in the city. Then we all went back to our separate rooms, to shower, rest, and maybe Skype. Alone, I ate an orange every morning before walking to class, building a pile of peels that covered the desk. A cleaning lady came on Fridays. She threw away the peels and lined my shoes along the wall. Proof that I inhabited this room. Must have been a Thursday. 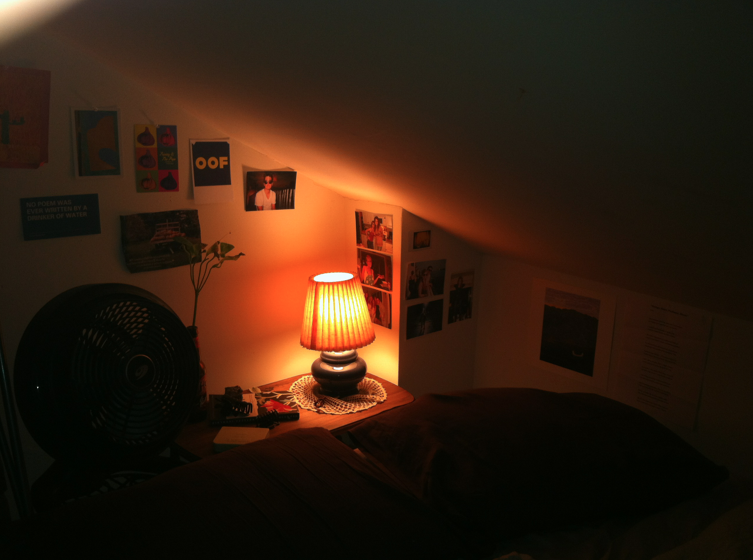 For four months that room was my own in an unfamiliar city. But it was not a home, a place where living happens. I lived in Park Cituadella, at the Arc de Triomf, at Universitat Pompeu Fabra, in cafes, on labyrinth streets, in the Areobus, on the Metro. I lived in the hostel in Amsterdam, my friend’s apartment in Lisbon, and the apartment my family rented in Born the week they visited. Unlike every other place I’ve called home, I barely remember how it felt to be there, in my Melon District room. Its essence lies just out of reach. Could that be blamed on an uninviting aesthetic, or the brevity of my stay, or the fact that I never shared the space with anyone? My other apartments are like frames of experience. Those homes have been cradles of conversation, growth, and change. Vessels that carried and contributed to lives. My freshman dorm, where I covered the chilly cinder block wall with photos. My first kitchen at Rutgers the year I didn’t eat meat. The charming place on Central Street with a horrible landlord and a beautiful fireplace. The apartment on Easton Avenue, where from my window I watched the pulse of Hub City. 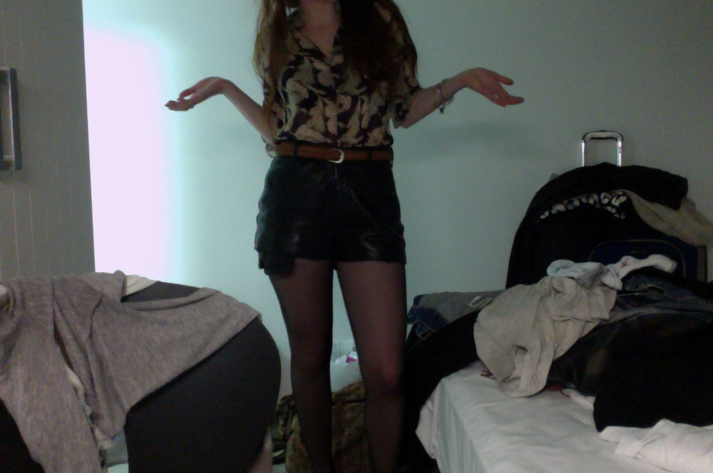 And then there’s my room in Barcelona, white like a ghost. A shelter without sentiment, but scented by oranges.